I liked this more than I had thought I would. It did a good job of giving all the characters a voice and while I did expect a twist, I did not expect the one we actually got. On the other hand, the jumps in time made it a bit hard to follow and the Taylor really subtracted from the movie. Presumo que seja isso que assistimos na sessão da tarde quando estamos gripados e não queremos pensar. Nick, você não merece o pai que teve. TV aberta. There were moments that felt incredibly realistic and it brought out some deep emotions, and there were other times when it felt like just another Hollywood movie designed to try and make a poignant point. There is enough talent in the cast that it should have never felt that way because given the story it could have done a better job focusing on subtlety instead of having to blatantly state the obvious. 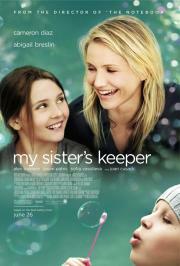 This film would be better if Nick's dad directed it, but nonetheless, a tender piece on human independence.